Coal is inherently dirty. Once you add allegations of fraud, manipulation, illegality and wastage of public funds into the mix, the sulphur dioxide and carbon monoxide from coal is the least of our worries. Health risks can be attended to medically but the nature of the coal tender process means that unless one is in the industry itself, the technical complexity of it complicates matters so much that the rest of us are unaware as to the level of corruption that is covered by the soot. Time to call in the chimney sweeps. 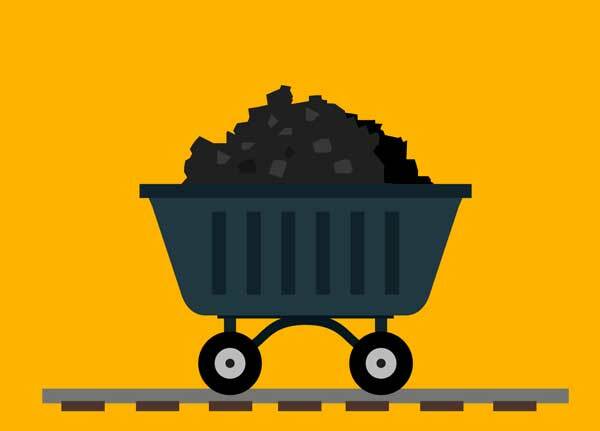 The supply of coal to the Lakvijaya Power Plant in Noraichcholai, Puttalam, which happens to be the largest power station in Sri Lanka, is done by tender through a competitive bidding process. All tenders are vetted by the Technical Evaluation Committee (TEC) and a Tender Board of the Lanka Coal Company, a subsidiary of the Ceylon Electricity Board, after which the tender is awarded to the company, which meets the required specifications and has the lowest in price. On June 11, 2015, the Standing Cabinet Appointed Procurement Committee (SCAPC) opened the price proposals for bids. On June 13, the TEC recommended Noble Resources International Pte. Ltd as being the lowest responsive bidder to the SCAPC, following a bidding process involving several other companies. On June 17 the Secretary requested Noble to further reduce their price, which Noble is reported to have refused. However, on June 29, before the tender had been formally awarded to Noble Resources, Swiss Singapore Overseas Enterprises Pte Ltd, one of the seven companies which had not been granted the tender and had come in the 5th place after the bidding process, had written to the SCAPC calling for a reevaluation of its bid. The SCAPC, after meeting on the same day of the communication, wrote to the TEC and ordered them to re-scrutinise the tenders, disregarding two vital criteria that had been previously imposed with regard to the size of the coal. Thereafter in early July the SCAP received the re-evaluation report of the TEC and a few weeks later the tender was awarded to Swiss Singapore. Following this controversial move, 4 of the 6 bidders other than Swiss Singapore appealed to the Procurement Appeal Board (PAB), which had been set up by the President for appeals by bidders, who lose out. This was following a news item which was published in the Daily News criticising the Board. This prompted the PAB to refuse to hear the cases of the bidders. The Board was however convinced otherwise by the President and they handed in a report, which described the tenders as being illegal. The recommendations in the report were disregarded by the officials who submitted a Cabinet Paper which allowed the tender to go ahead. Afterwards Noble Resources and another bidder, filed a Fundamental Rights petition in the Supreme Court of Sri Lanka. The application was however dismissed on the First Preliminary Objection raised by Counsel for the majority of the respondents, Mr. S. Rajaratnam, Additional Solicitor General. The issues are as follows. This position was reiterated at the Pre Bid Meeting held on the 18th of March 2015. Here again a concern was raised on the issue of sizing penalties. Once again the response was the same. “All requirements...related to sizing will remain unchanged”. Now any reader, who is not familiar with tender processes in the coal industry, must keep in mind Clause 5.5 of the Bidding document. However, there is evidence that SCAPC received a letter dated 29th June 2015 from Swiss Singapore in which attempts were made to influence the price evaluation procedure. A meeting of SCAPC took place the same day and the TEC was asked to re-evaluate the bids ignoring two criteria that had been included before. One of these two criteria was regarding sizing, an issue that had been clearly responded to on two previous Pre Bid Meetings. Two issues arise out of this alarming disregard for the law. The first is that by virtue of Clause 5.5 that was aforementioned, Swiss Singapore’s bid should have been rejected on the spot. 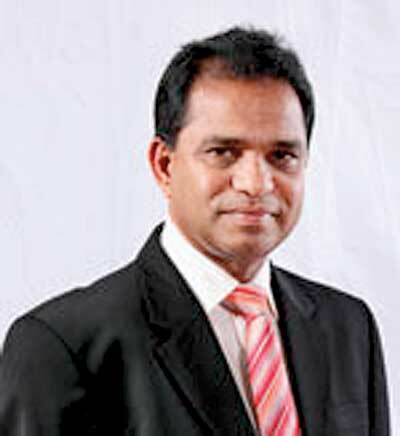 Maithri Gunaratne, the Chairman and Managing Director of the LCC had sent a letter to the Ministry of Power and Energy highlighting this fact as well. The second issue tilts more towards the action of the SCAPC. The Bidding Document for the Supply of Coal for the Lakvijaya Power Plant has a clause within it which speaks about amendments to the Bid documents. The precondition for such amendments is that it happens “prior to the deadline for submission of Bids.” Another document titled ‘Government Procurement Guidelines-2006’ states that “disclosed criteria shall not be modified or additional criteria shall not be introduced during evaluation”. None of these clauses seems to have been adhered to. Furthermore these tender documents are prepared by engineers and professionals in the field. In addition, this move by the SCAPC is contrary to the responses given at the two Pre Bid Meetings in relation to sizing requirements remaining unchanged, which in turn undermines the very authority of the TEC and the use of such meetings. Therefore the above paragraph is self explanatory to the fact that both Swiss Singapore and the SCAPC acted contrary to the rules set out for the tender process and as such there could be no explanation to Swiss Singapore acquiring the tender to supply coal. However, that was exactly what happened. Even though it had been confirmed to Noble Resources on the 17th of June 2015, that they had submitted the lowest bid, they later received a letter in early July stating that the Bid had been awarded to the Swiss Singapore. Even though the first evaluation had been carried out and Noble Resources had topped the list of bidders, the removal of the two criteria as per the request of the SCAPC resulted in Swiss Singapore topping the list, in clear violation and disregard of the rules and procedure of the tender process. The Chief Justice, in his judgement on the case highlighted the importance of this procedure. observed by the SCAPC. It postulates that no one, neither the State nor the SCAPC shall act contrary to the Bid Documents and the Government Procurement Guidelines. It is of utmost importance that all the necessary safeguards laid down therein should be complied with fully and strictly and any departure from them make the evaluation process void. Procedural safeguards which are so often imposed for the benefit of persons affected by the exercise of administrative powers are normally regarded as mandatory so that it is fatal to disregard them. The SCAPC cannot disregard Clause 2.3 of the Bid document, which specifically states that the amendments to the Bid document may be done at any time prior to the deadline for submission of Bids and not during the evaluation of the Bids. A second major issue rocked the coal truck after at least four bidders complained to the PAB about the tender being granted to Swiss Singapore. However, the Daily Mirror has obtained a report by the PAB, which was presented on the August 5, 2015 making several critical observations. They labelled the recommendation of the SCAPC to award the tender to Swiss Singapore as incorrect since they had requested the TEC to re-evaluate the price bid excluding the specific criterion of size. They highlighted the move of the SCAPC entertaining the letter sent by Swiss Singapore on the 29th of June 2015 as being illegal. Their report concluded by recommending the Cabinet to cancel the tender with Swiss Singapore and to call for fresh bids internationally. However afterwards a Cabinet paper was submitted which did not refer to the first evaluation that took place. This in turn misled Cabinet to allow Swiss Singapore to provide coal. Had there been full disclosure of the events that took place after bids were opened on the June 11, 2015, there is a high probability akin to certainty that Cabinet would have made a different decision. “This Cabinet Memorandum misled the Cabinet of Ministers where in fact the SCAPC at its meeting held on 29.06.2015 directed the TEC to re-evaluate the tenders without taking into consideration steps 1.3 and 1.4 for the evaluation of bids. A direction by the SCAPC to TEC to drop Steps 1.3 and 1.4 cannot by any means equated to interpretation of the conditions stated in the bid bond. Thus, the Cabinet decision taken on the Memorandum marked 5R1 was obtained by misleading the Cabinet of Ministers. The decision taken by the Cabinet of Ministers on 22.09.2015 marked 5R2 cannot be considered as a valid decision, in so far as it relates to the entering into a contract for one year with the bidder recommended by the SCAPC,” said the Chief Justice on the matter. All this then led to Noble Resources filing a Fundamental Rights petition. The judgement of the court hinges on a singular word- May. As was highlighted at the beginning of this article, the ruling of the court is that the application by Noble Resources fails due to the preliminary objection. However, the CJ’s additional direction seems to have given room for interpretation with proponents of the Swiss Singapore deal stating that “May” does not imply “Should”. As such this allows the contract with Swiss Singapore to stand irrespective of all policy considerations that have been discussed, including “fact that the award of tender involved public funds, and the solemn duty of the Court to protect the Rule of Law embodied in the Constitution in order to ensure its credibility in the faith of the people” and the fact that it has been deemed “null and void”. The problem with this entire issue is the complexity of it, as was mentioned at the start -from the numbers, to the tender procedure. However, an alleged excessive spending of US$8 million in public funds and a judgement of the highest court of the country are matters that await clarity. “These are all lies.” In relation to the controversial communication he highlights the wording of Clause 5.5 of the Bidding Document. “The clause states that the tender board may reject the tender if there is communication between the parties, not that it should. Everybody sends letters to us, even Noble Resources,” he said. With regards to the re-evaluation, “these are lies once again”, says Dr. Batagoda.